Visit the referral page for full details. Send the details to your interested friends. Ensure that they pass along their details when they sign up for a new account. Once they’ve made a booking you’ll receive your £75 credit. Ensure you pass along your referring friend’s details during the sign-up process. Book your holiday to unlock your £75 discount. 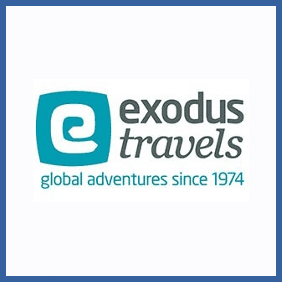 Been on an adventure holiday with Exodus Travels? If you’ve got friends who’ve been bitten by the travel bug or want another adventure yourself then get referring. You’ll receive a £75 credit on your account per new customer you sign up and your friends will get £75 discount on their first booking.